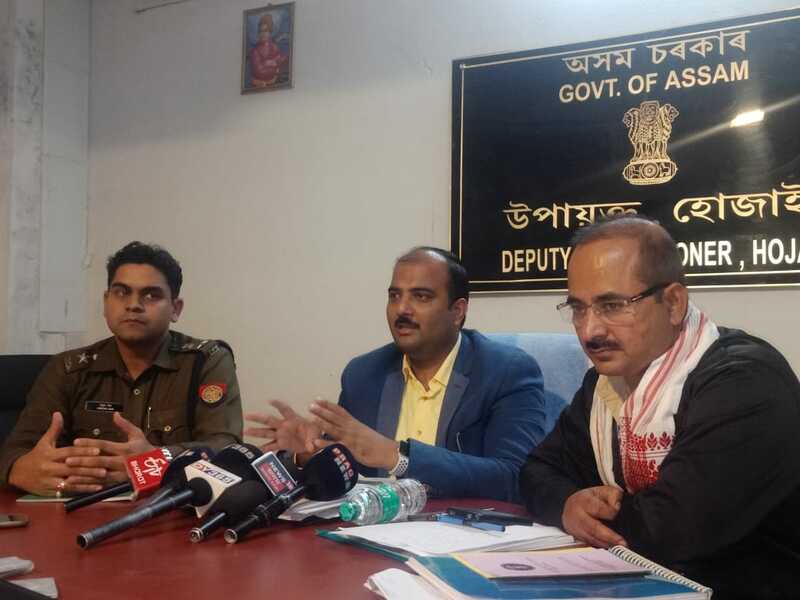 Hojai district administration is fully prepared to conduct the second phase panchayat elections to be held on December 9 in Hojai district of Assam. This was asserted by Deputy Commissioner of Hojai district, Manvendra Pratap Singh, while addressing a press conference on Tuesday. He informed that a total 4,000 employees has been assigned election duty and necessary training for this were provided to them by dividing into four groups and employees working in NRC duty has not been assigned election duty. “For the panchayat election, a total of 715 voting centres have been set up in the Hojai district where 526560 voters comprising 279818 male and 246742 female voters will cast their votes. Out of these 715 voting centres, 270 voting centres are sensitive and 89 are more sensitive,”the Deputy Commissioner added. He further said that for conducting elections, a fund of Rs 3.3 crores has been sanctioned. In Hojai, there are 12 Zila Parishads, five anchalik parishads, 67 gaon panchayat president posts and 670 ward member posts for which elections will be held on December 9. In this election, 12 candidates won uncontested comprising 10 ward members, one gaon panchayat president and one anchalik panchayat member. He informed that in order to conduct elections peacefully various checking drive are carried by police in entire district and during the checking drive, around Rs two lakhs fine has been collected from those who have breached the norms as per Motor Vehicles Act. ADC Pankaj Deka, ADC Prasanta Baruah and panchayat election supervisor Aroop Sarma were also present in this press meet. Moreoever, on Wednesday by a press statement, the Hojai district administration has declared dry day from 3 pm of December 7 to 3 pm of December 9, that is the day of voting. Dry day has also also been declared on December 12, the day of counting till the process is complete.